A single, intuitive interface provides access to all underlying fund and portfolio company data, cash flows, capital account balances, fees, carried interest, fund terms, valuation metrics, leverage measures, partnership financials, and every other data point about your portfolio. Spend time on what matters – meeting managers, interpreting analyses, and developing a thoughtful view. Chronograph provides unrivaled insights on underlying portfolio company and asset performance. No clunky templates, no self-reported data, no burdens on GPs, no new work. 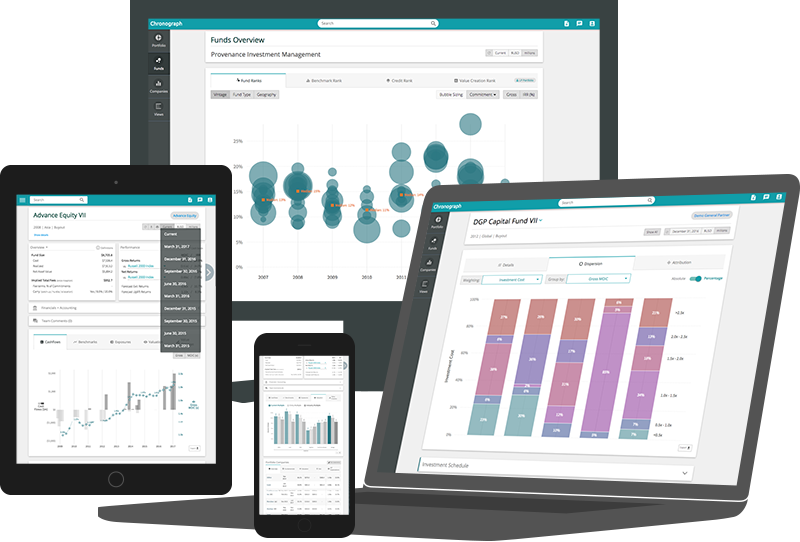 Interactive ‘cloud-grids’ allow investment professionals to quickly manipulate and validate financial data in a familiar and collaborative environment, and easily import and export and data to-and-from Excel. Explore financial and valuation metrics over time, incorporate budgets and projected values, synthesize in-house models and manager reports, and capture the complete detail of your underlying exposures. Eliminate errors and uncertainty with Chronograph's ‘click-to-tag’ and ‘click-to-audit’ functionality. Simply click on a number to reveal its source document and original context. Likewise, avoid copy & paste errors by capturing and tagging numbers with a single click. Free your team from repetitive data entry and guarantee absolute precision with Chronograph’s robust data capture technology. No more digging through folders for lost files or wondering where a figure came from. 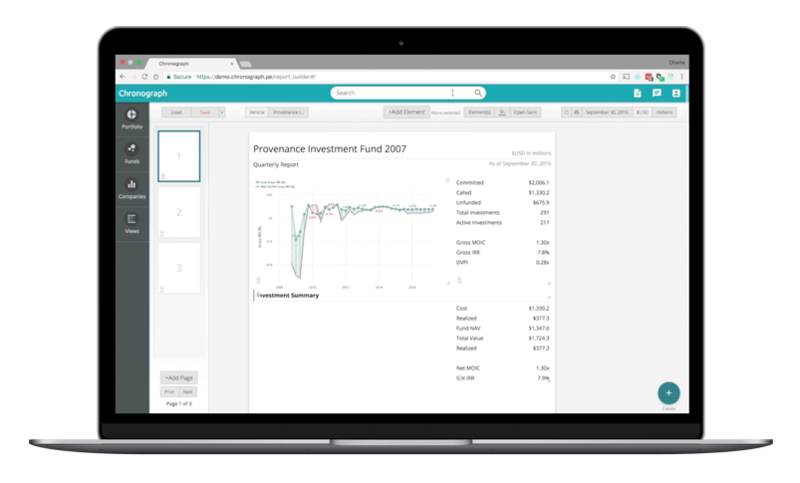 Chronograph integrates with your existing systems to provide investment, reporting, and financial professionals a consolidated interface for interacting with, protecting, and making use of your data. Create team-sharable design templates and raise brand standards with consistent color themes, beautiful charts, and custom tables to communicate your message to stakeholders clearly. Extract information and build bespoke reports in seconds with Chronograph’s flexible query builders. Pivot, filter, refresh, select custom currencies & date ranges, and save as reusable templates. ‘Custom View’ table builders allow professionals to compare any data over time and export to Excel instantly. Chronograph is designed to require as few internal resources as possible. No operational or reporting changes, no software integrations, and no burden on your GP relationships. 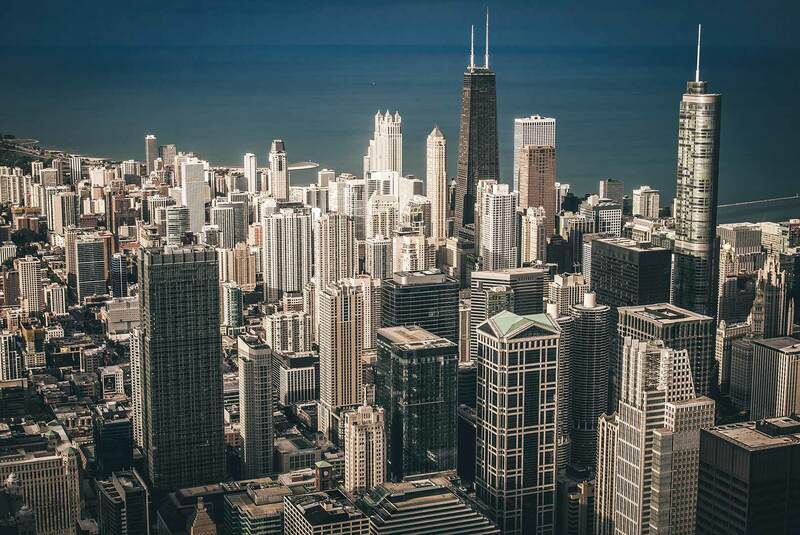 Our team will work with you to provide a process that best suits your needs: let Chronograph’s trained financial analysts handle the complexities of capturing performance data, or manage all, or part, of the process yourself.